Real Story Group will help you figure it out. By now, most large enterprises have evolved multiple — often overlapping — stacks across the customer experience spectrum: for Marketing, Sales, Service & Support, Advertising, and Web/DX. Of course your customers don't care about your stacks. They expect to be able to engage coherently and consistently with you regardless of channel, and continue doing so when new channels like voice emerge. And of course you share the same ambition. But how to get there? You face key governance, operational, and information challenges for sure, but you also need a target technology strategy, what RSG calls "The New Omnichannel Stack." The reference model you see above is aspirational. Working with enterprise subscribers, we help you figure out which segments and vendors — if any — make most sense for you. Individual technology platforms are not #omnichannel. 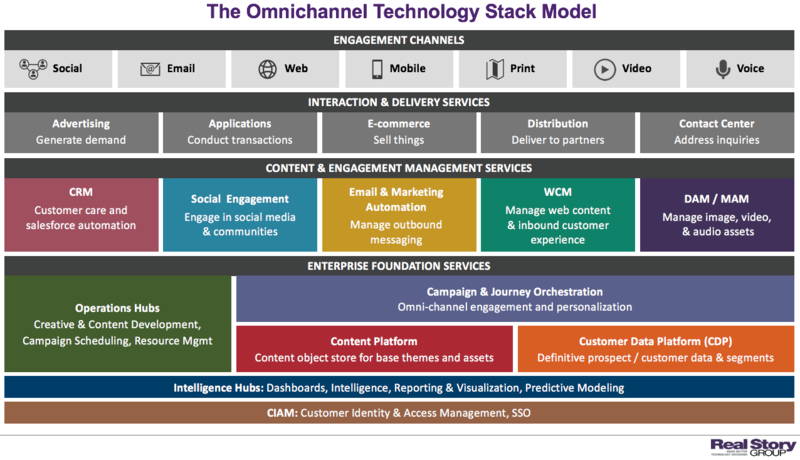 A vendor is not omnichannel. 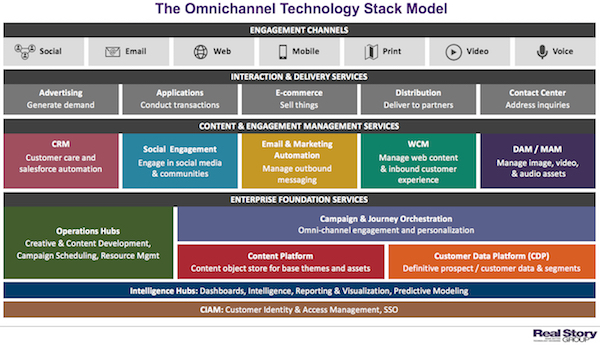 Your stack can be omnichannel.